This incredibly wide-ranging collection of maps—all inspired by literary classics—offers readers a new way of looking at their favorite fictional worlds. Andrew DeGraff’s stunningly detailed artwork takes readers deep into the landscapes from The Odyssey, Hamlet, Pride and Prejudice, Invisible Man, A Wrinkle in Time, Watership Down,A Christmas Carol, and more. 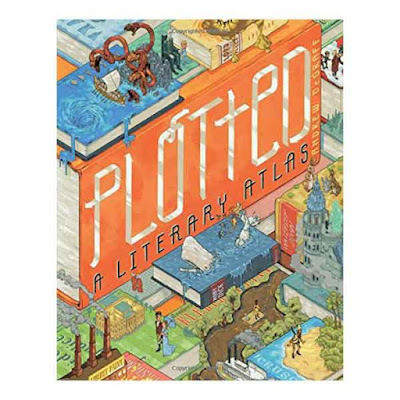 Sure to reignite a love for old favorites and spark fresh interest in more recent works as well, Plotted provides a unique new way of appreciating the lands of the human imagination.